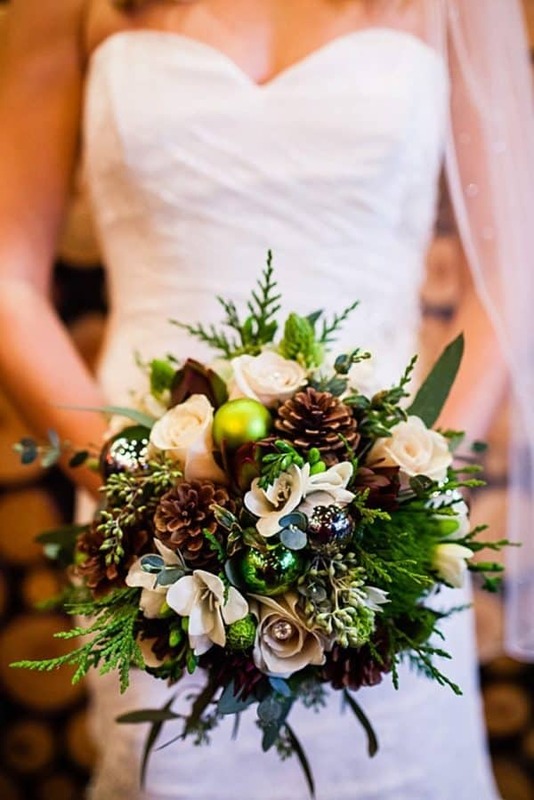 No matter what time of the year you have chosen to say the faithful YES, carrying an amazing wedding bouquet is a must. 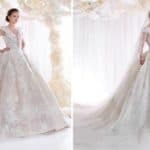 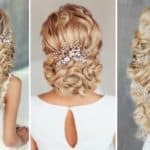 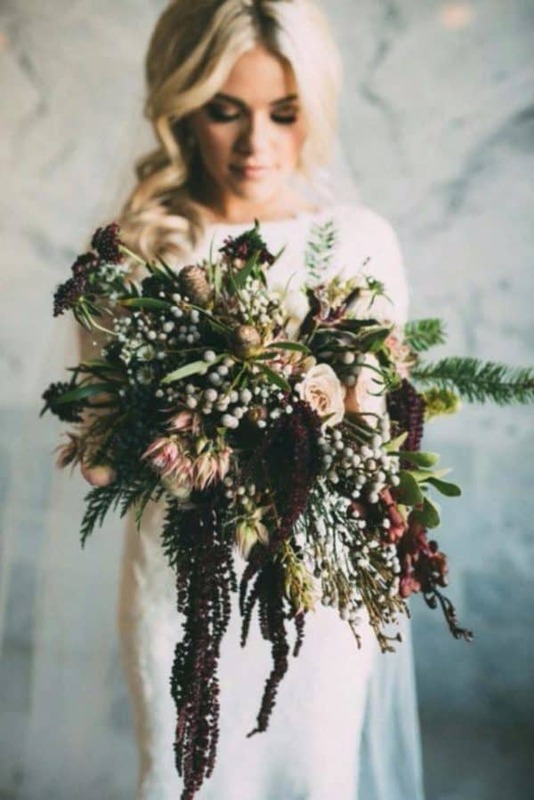 So, if you are planning a wedding party during winter, or especially on Christmas, then you can look up all the chances to have the most beautiful wedding bouquet ever see. 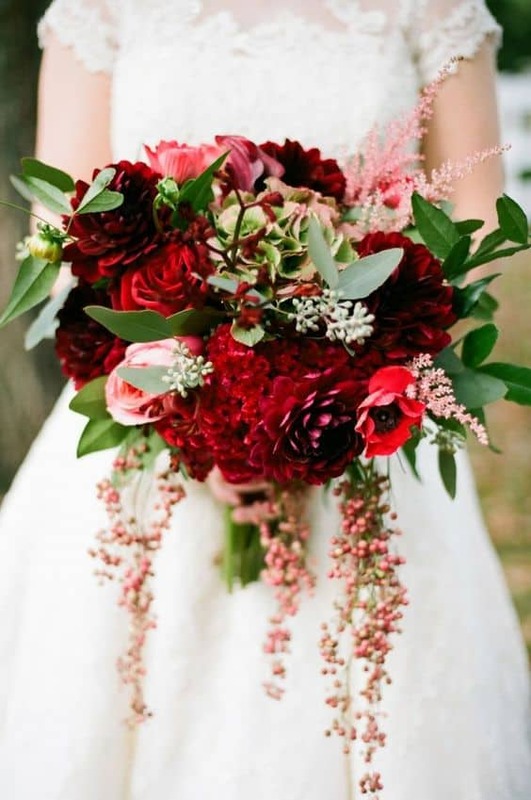 And, yes you can have also a bouquet combined with some pretty flowers that reflect your wedding season. 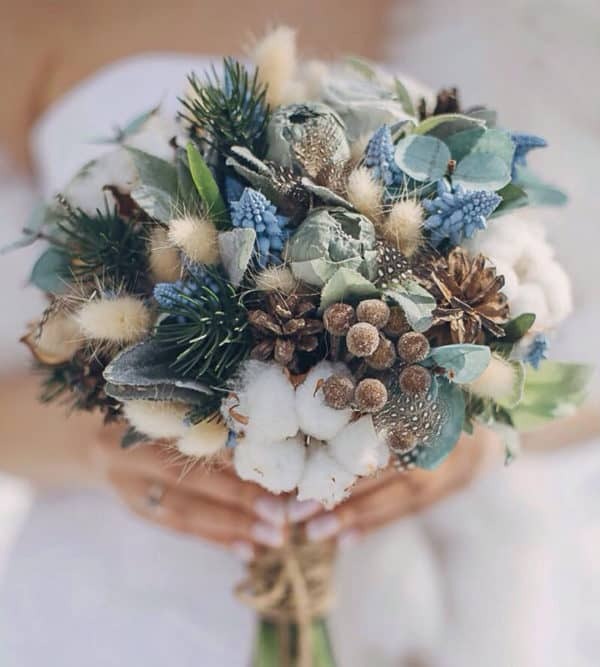 Explore down the page, the most stylish Christmas wedding bouquets to say the faithful YES with, in winter. 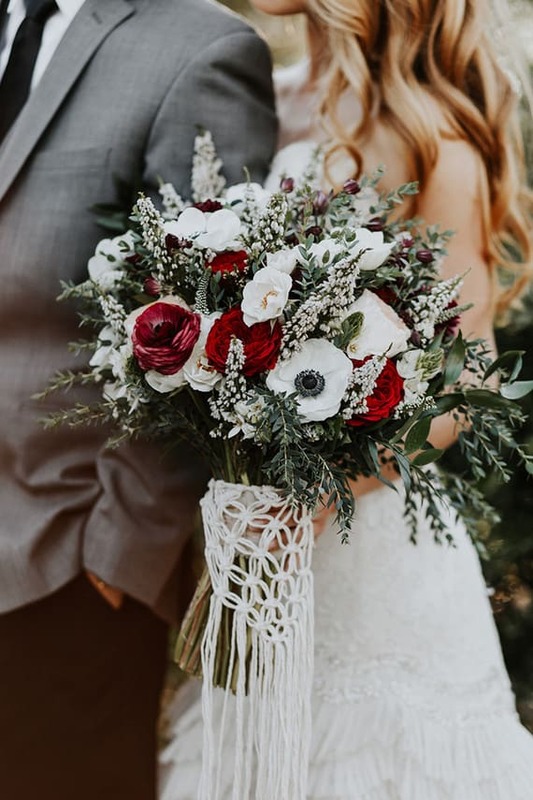 When thinking about having a Christmas inspired wedding bouquet, you should definitely start with picking the typical colors for the season, red, green, white and silver or gold shades. 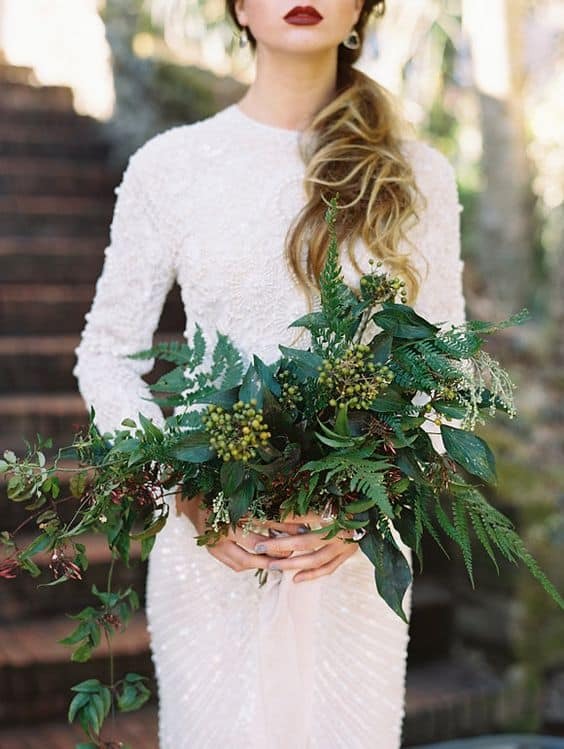 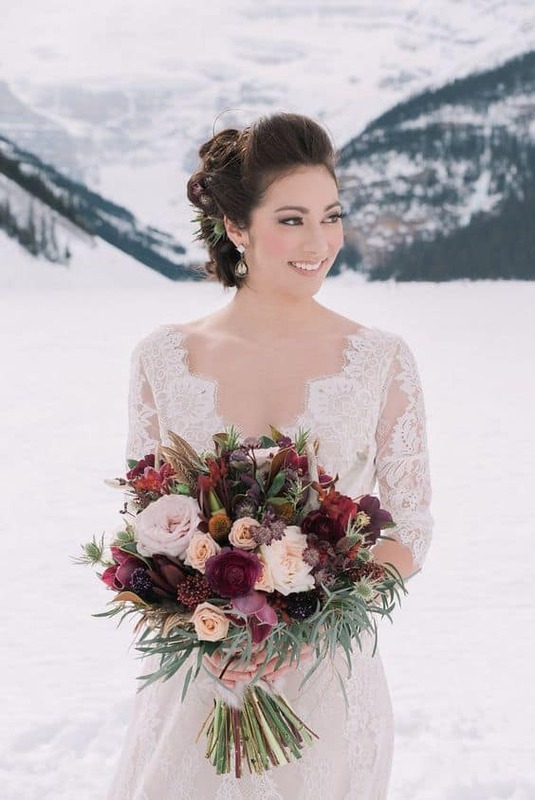 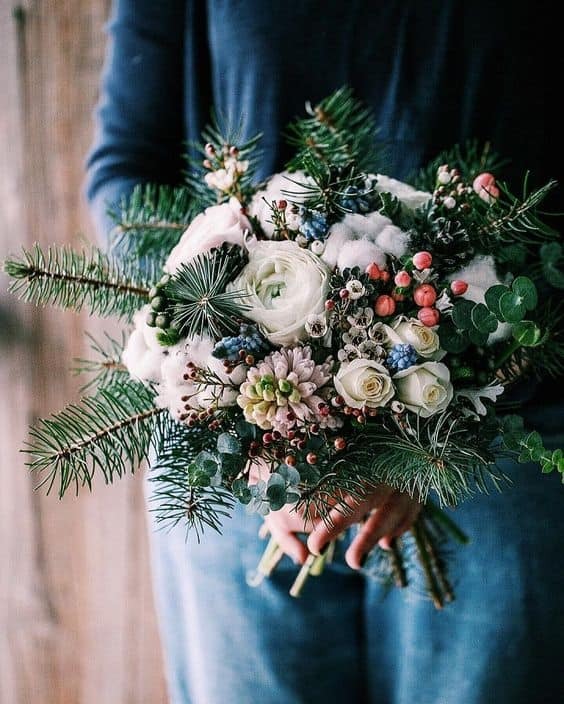 A part of your wedding bouquet for a winter wedding will definitely be some plants typical for winter season, such as pine branches, evergreen springs, berries, or acorns. 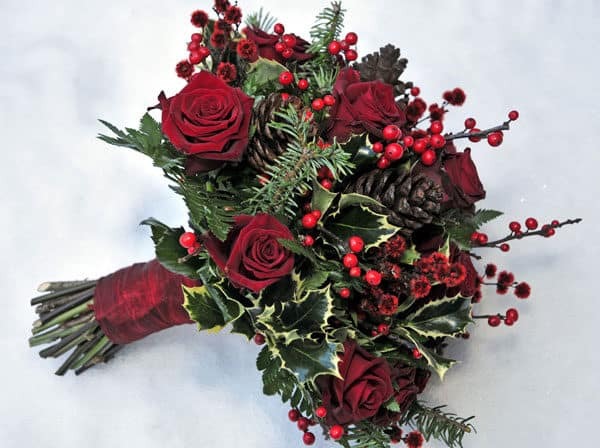 No matter it is cold outside, by wearing a Christmas wedding bouquet you will add some warmness to the whole festive atmosphere. 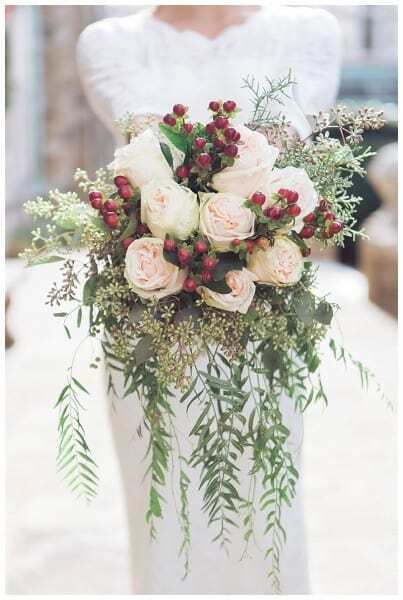 We have found for you some of the most beautiful wedding bouquet, that inhales with glamour and sophistication. 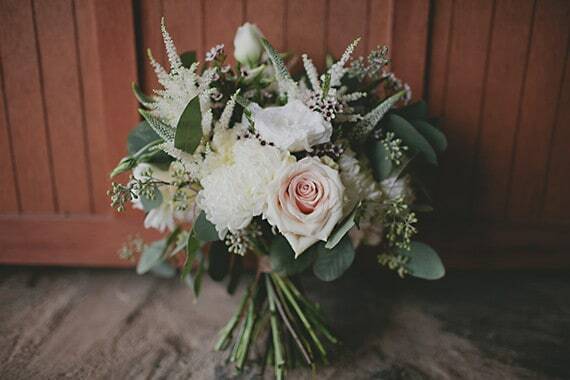 Scroll down the page and pick up your favorite. 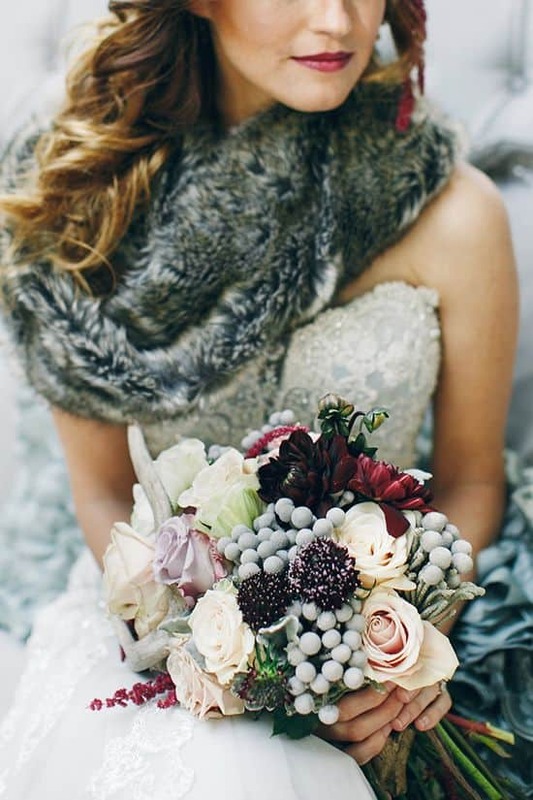 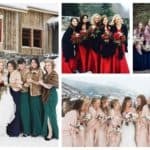 If you are for a unique wedding party, in winter with everything around you colored snow white, having one of this bouquets is a must. 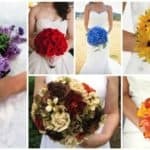 And, believe us, everyone will adore your unique and unusual wedding bouquet.